The Yurameki is a heavyweight sinking pencil with amazing casting capabilities. The 48mm, 6.3g body makes it a great search bait castable into a strong wind, or over long distances while searching an extensive area. The lure’s heavy weight gives it great carrying distance and reduces the ‘floating up’ tendency which is a demerit of many sinking pencils. 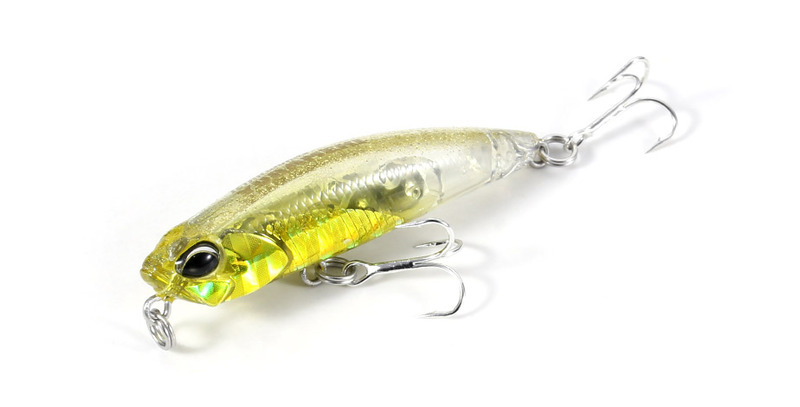 This lure will allow the angler to search at various depths. With slow retrieval, it swims with a tail wobbling action, captivating not only small targets like the Black Rockfish, but also the timid seabass.